The End is coming! 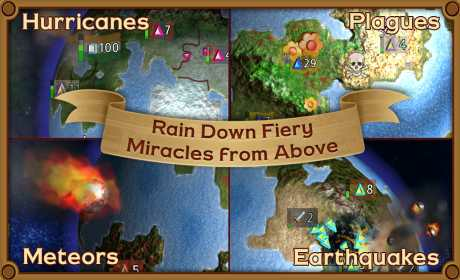 Bombard the globe with devastating miracles and decimate the enemy civilizations. Guide your armies to dominate the planet and catch your people up to heaven! Rapture – World Conquest is a fast paced real-time strategy game that puts you in the celestial shoes of a jealous god. Guide your followers through the ages and vanquish the unbelievers in the surrounding kingdoms. Send your armies to take over regions and expand your realm. Should you risk all on military engagements? On science and technical achievements? Or improve farming to boost productivity? Or perhaps your followers should spend their time praising you, giving you the power to unleash more miracles. Inspired by classic god games such as Civilization and Populous, reinvented for short match times on mobile. 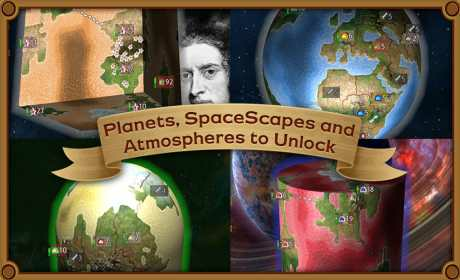 There are dozens of missions, achievements and unlockable content.